We have always loved the outdoors and gardening, and canning is always a pleasure not a job to us so farming animals seemed like a good way to compliment the veggies. We worked our way into chickens the long way around. 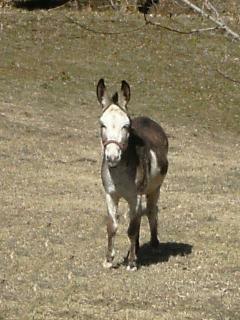 We started out raising rabbits, and because coyotes were so bad we found a standard Jack Donkey for a guardian. 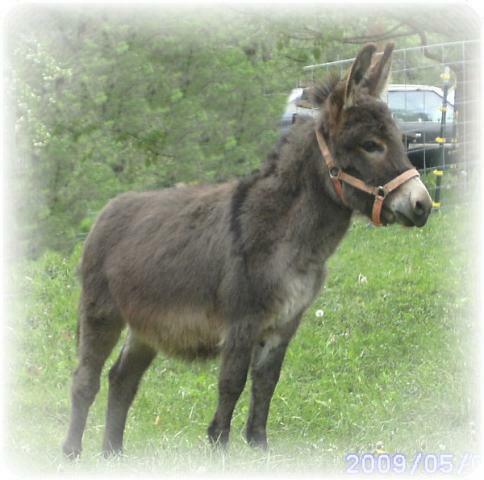 We already had dogs and cats so one donkey wasn't going to be that bad. Well, we fell in love. 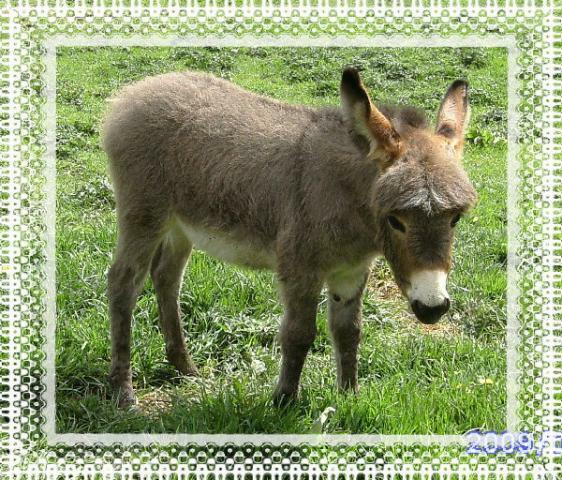 I tried talking my husband into a Jenny for him because I figured he was lonely, Rodney told me to look for smaller donkeys. Which led to us finding Nicole and Chocolot(Choc). Nicole came bred to us from the lady we bought her from, so we were excited soon to be "parents". Then we found Emmaline and fell head over heels in love with her, and she fell head over hooves in love with Rodney. 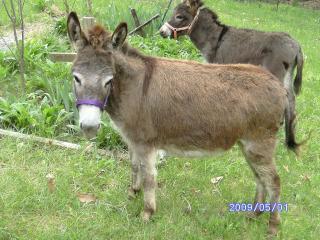 We started looking at chickens last spring when we went to Tractor Supply to by feed for the donkeys. 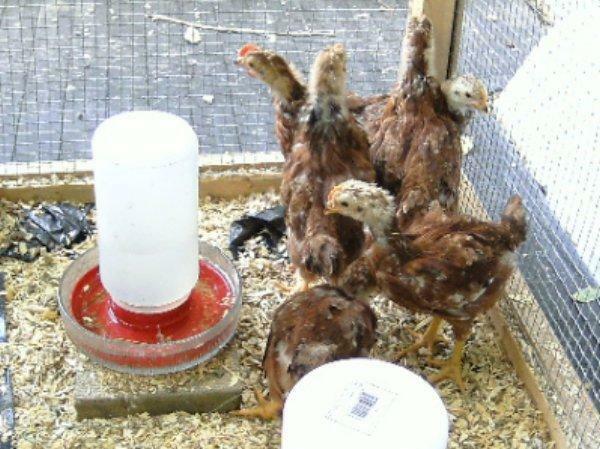 One thing led to another and we were making our selection of chickens online at Welp Hatchery. 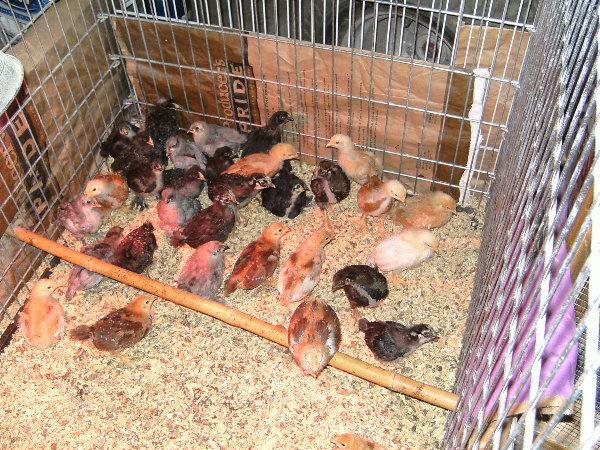 Because of hatching problems we didn't get our babies until the middle of July. Rodney has never been accused of being patient, so we went in search of local chicks....and found them. The man we bought the first six from told us how to tell pullets from cockerels...you spread the wing and the one with the short feather was the male. Out of six we ended up with 3 pullets. We were having such a wonderful time with those six we went to the local market and the same man was there, with a new method of sexing chicks. He grabbed them around the neck and lifted them up, he said the ones that held their legs close to their bodies were pullets and the ones that held their feet out in front of them were cockerels. NOT!!!!!!!!!!!! 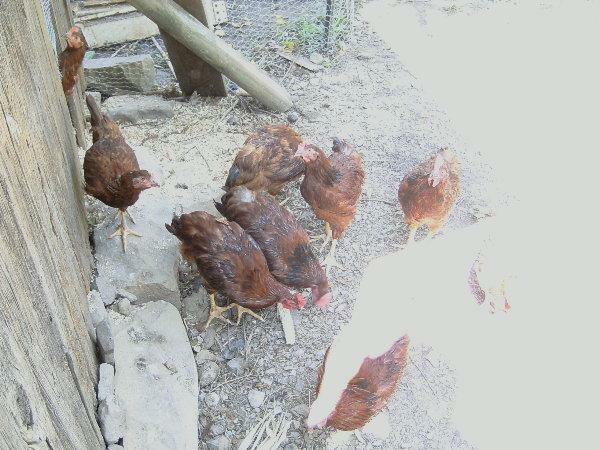 Out of those six, one...let me repeat here...ONE was a pullet. Yes, folks you read right, ONE was a PULLET. So now we had 8...EIGHT roosters and no where or need for them. And this was before we found this site, so off they went to a family in need that just loves chicken and dumplings. Mainly because I had done made pets out of all of them and couldn't add them to my own dumplings, so we just had plain dumplings. The whole time we were waiting on the 36 mail order pullets we were working on the soon to be "Chicken Castle", so dubbed because we started with a size of 4 X 6 and ended up with a building 12 X 16, with an upstairs, (because we need the storage for hay) and he wanted to try building a gambrel roof. Which he did, perfectly. 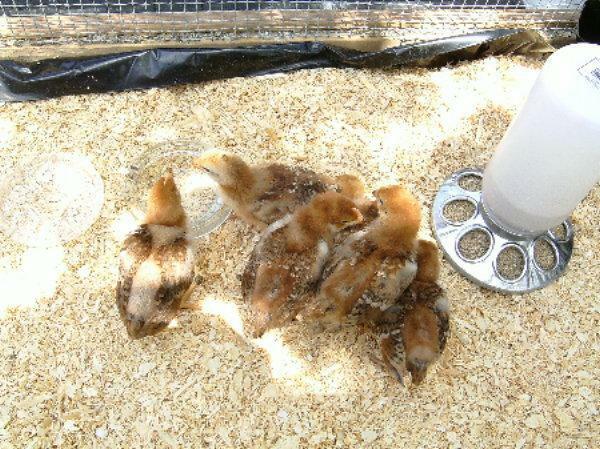 More to come....Our "Chicken Castle"
Baby chicks arrived the 18th of July.....JOY!!JOY!!JOY!! !